IKO’s residential roofing shingles now include IKO Cambridge Cool Colors, architectural laminate shingles that are engineered to meet the California Energy Commission Building Standards Code, Title 24. IKO’s residential roofing shingles now include IKO Cambridge Cool Colors, architectural laminate shingles that are engineered to meet the California Energy Commission Building Standards Code, Title 24. 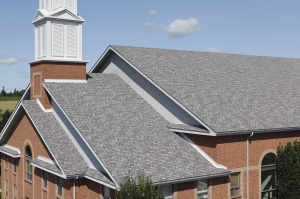 IKO Cambridge Cool Colors feature a shingle coating embedded with special granules that reflect a greater amount of solar energy than standard roofing shingles. This high-reflectance technology allows less solar radiation, or heat, to enter a home through the attic and also allows absorbed radiation to be released back into the atmosphere. IKO Cambridge Cool Colors are offered in four color options: Arctic White, Desert Gold, Dual Grey and Valley Oak. All four colors are available throughout California with additional limited availability in surrounding West Coast states while Dual Grey is offered nationwide.